Prime Minister Lawrence Gonzi said in parliament this evening that Opposition leader Joseph Muscat on Wednesday set a new benchmark in political opportunism when the Opposition voted in a no-confidence motion in the Minister of Home Affairs. What took place on Wednesday was a case how opportunism triumphed over substance, Dr Gonzi said. A motion of no confidence had been moved in the minister even though there was no justification for it. It was an example of how, for Dr Muscat, the end justified the means. Speaking at the opening of a debate on a motion of confidence in the government, Dr Gonzi said that implied in this motion, therefore, was an expression of no confidence in Dr Muscat. The government, however, recognised the seriousness of what had taken place. Dr Mifsud Bonnici resigned and, Dr Gonzi said, he reluctantly accepted the resignation and sought a vote of confidence in the government - a government democratically elected by the people to serve a five year term. Such a vote of confidence was needed as a message from the House that they had a government which would continue to work in their interests, especially in such a critical time for the economy, Dr Gonzi said. "Such internal games do not do anyone any good and we need to continue to concentrate on the needs of Malta's families," the prime minister said. Much important work remained to be done by the government, and it would affect the people immediately and well into the future, Dr Gonzi said. The government needed to continue to work on job-creation. 20,000 jobs had been created in this legislature, despite the difficult economic scenario. Malta was far better off than countries such as Cyprus, which Dr Muscat had mentioned as a benchmark. But more jobs needed to be created, not least for the 4,000 who would graduate in the coming months. Over the coming months the government needed to seal the talks on a new collective agreement to civil service workers, giving them the conditions they deserved and ensuring that the government continued to be a model employer. In the coming days, the government needed to step up a gear in its preparations for the Budget, consolidating Malta's fiscal position and continuing to invest in the sectors which were most important for the country. Also on the agenda were the conclusion of major capital projects which generated activity for workers in both big and small enterprises. The coming says should see further debate on fiscal consolidation. Investment only went to those destinations which were on a sound financial footing, Dr Gonzi said. In this context, the opposition should be aware that careless talk scared investment. The news few weeks should also see further consultations on addressing the issue of illegal immigration. Malta also needed to negotiate a new financial package with the EU in terms of the 2013 EU Budget. This vote would enable the government to focus on the needs of the country, Dr Gonzi concluded. Dr Francis Zammit Dimech (PN) said the government had a popular mandate to govern for five years, and that mandate should be respected. Furthermore, this government's Budget had been approved by the majority of the Members of the House, in contrast to the situation under the last Labour government. Dr Zammit Dimech said the democratic credentials of both sides of the House needed to be confirmed. Unfortunately, the opposition was constantly resorting to blatant political opportunism which was an embarrassment to the political class. Would the opposition now respect the outcome of today's vote and stop its constant unjustified attacks? 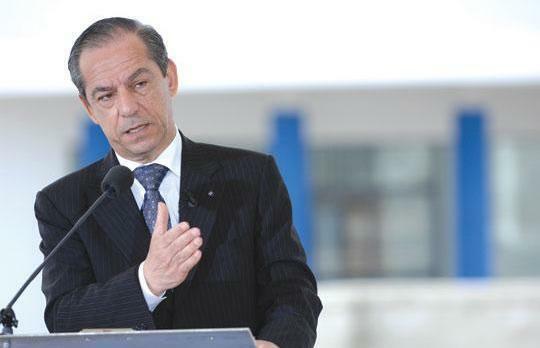 Tourism Minister Mario de Marco expressed his solidarity with Dr Mifsud Bonnci and hit out at the opposition for having moved a motion of no confidence in the Minister of Home Affairs over trivial matters such as a missing generator. These were the same people who still had in their ranks people who were in government when the police tortured people under arrest and even caused their death. These were the people who had been in government when human rights were trampled upon. While the opposition was bent on trying to hinder the government, the government was achieving major successes. One only needed to compare the situation here with that of other countries. One only needed to see the employment situation, or how records were being broken in tourism. Foreign Minister Tonio Borg underlined the government's success in attracting foreign investment, notably after EU membership, which the PL had opposed. This investment was also a consequence of the importance which the government placed in education. In contrast, Labour had converted student stipends into loans, breaking its own promise. Dr Borg praised the prime minister for his leadership during the Libyan crisis and said foreign policy was raising Malta's status and making Malta for attractive for job creation.